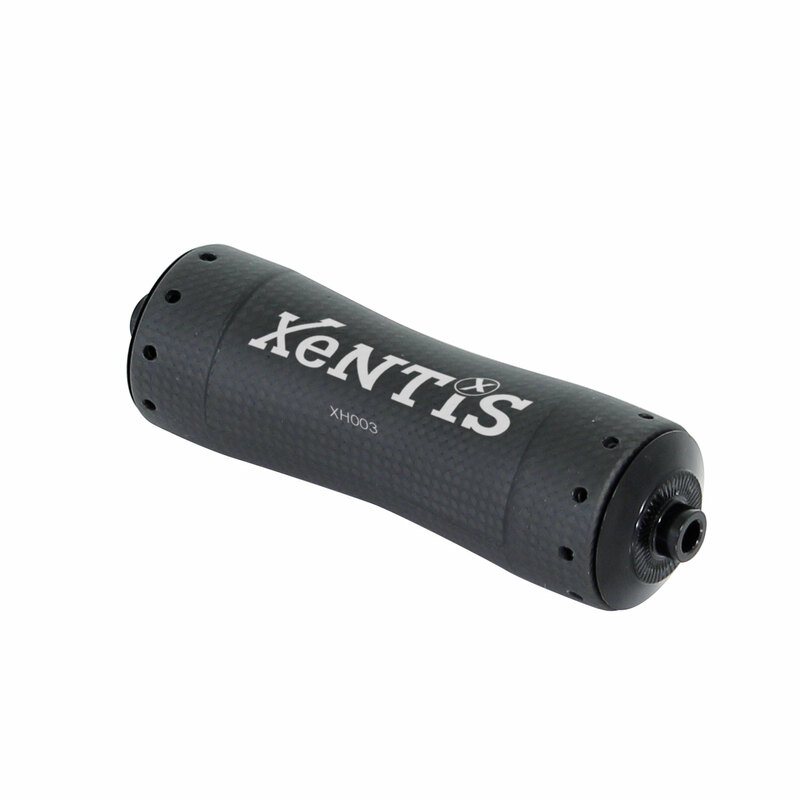 The XeNTiS XH003 front wheel hub is the result of years of experience in manufacturing carbon fiber composite bicycle parts. The XeNTiS XH003 front wheel hub is the result of years of experience in manufacturing carbon fiber composite bicycle parts. With an unbelievable weight of only 59 grams including an anodized aluminum axle, high-quality ball bearings and anodized endcaps, this product is not comparable to others. Despite the extremely lightweight construction, the safety of the customer is 100% guaranteed by a load test.